Anterior Lumbar Interbody Fusion (ALIF) is a surgical procedure used to correct problems with the small bones in the spine, known as the vertebrae. The main purpose of the vertebral column is to protect the spinal cord. It also provides stiffening for the body and attachment for the pectoral and pelvic girdles, as well as many muscles, and support bodyweight to enable standing and walking/running. What is anterior lumbar interbody fusion surgery used to treat? Anterior lumbar interbody fusion is most commonly used to treat lumbar degenerative disc disease. This is a condition whereby one or more of the spinal discs that act as a shock absorber between vertebra breaks down, causing the inner part of the disc to leak out and release proteins that irritate the surrounding nerves. This can cause the patient to experience significant discomfort. ALIF surgery can also be used to treat a condition called spondylolisthesis. This occurs when one vertebra slides forwards over the vertebra underneath it. This can cause spinal nerve compression which in turn can cause lower back and/or leg pain. 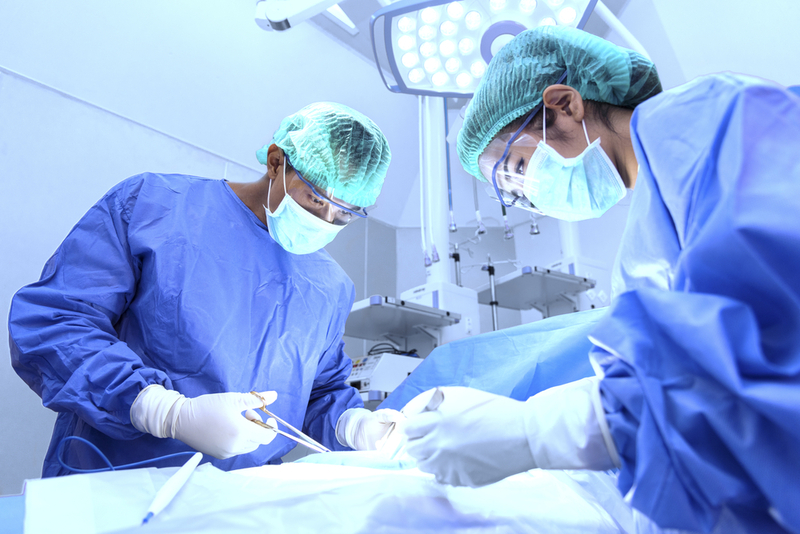 What happens in ALIF surgery? ALIF surgery is essentially a welding process, with the aim of fusing together the painful vertebrae so that they will eventually heal into a single, solid bone. To do this it is necessary for Dr. Luis Manuel Tumialán to remove the damaged spinal disc through an incision into your body. In the case of anterior lumbar interbody fusion, our surgeon will operate on your lower back through an incision made into your abdomen. In the first part of the procedure, Dr. Luis Manuel Tumialán will remove the intervertebral disc and implant a metal, plastic or bone spacer between the two vertebrae. This spacer normally contains a bone graft material which encourages the fusion of the vertebrae and promotes the bone to heal. - To avoid multiple surgeries in one area. This is normally the case if you have previously had spinal surgery using a posterior approach. - To give Dr. Luis Manuel Tumialán better access to the intervertebral disc without the need for moving vital nerves. - Placing the bone graft in the front of the spine places it in compression, and bone in compression tends to fuse more effectively. - To allow you to benefit from a faster recovery. In addition to this, you should be relieved from any pain and enjoy the benefit of a strong, functional and stable spine. Contact us today for further information.